Yes, that’s a legitimate thing… you can totally crave beauty products and I totally am right now. If I had money (boo to being poor), these things would be snapped up in seconds. As it is I am totally going to have to move some finances around so I can at least get myself one of them. These are the 6 products on the Boots website I’m loving the most right now and wishing they would somehow appear in my bathroom through the power of positive thinking. I legitimately need a night cream as my skincare regime at the moment is awful. This is probably the product I’m most likely to purchase as I feel my tired, thirsty skin will thank me. 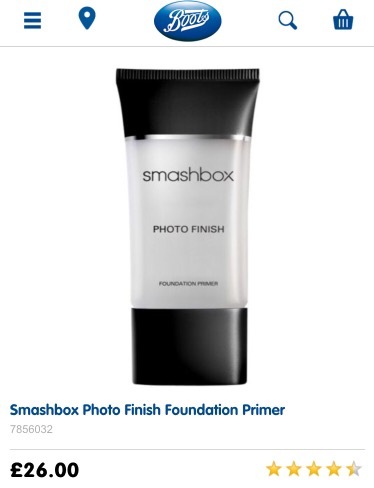 I’ve been wanting this primer for ages and not quite been able to justify spending this much on one item of makeup (I’m a mummy, I spend money on the children and not myself, boo). If I somehow come into money this is going to be one of the first things in my basket! I already have the standard sized pink Tangle Teezer and I love it so much, couldn’t be without it. I use it on my daughter’s naturally frizz ball bed head hair and it’s the only brush I can use without her screaming at me that I’m hurting her. I want a new one, just because mine is getting a bit old and grubby looking and this compact one is so pretty, and would fit in my (tiny) handbag. My sister bought the detox black version of this mask recently and we used it at the weekend. It was brilliant and the price is pretty reasonable, especially whilst it’s on special offer. I need to brighten up my tired skin so want to give this version a go. I have wanted this since I saw an ad in a magazine for it. As my shampoo is running out, I may just have to give it a go. My hair tends to have a lot of product build up so I’m hoping that using a weightless shampoo might combat this problem.